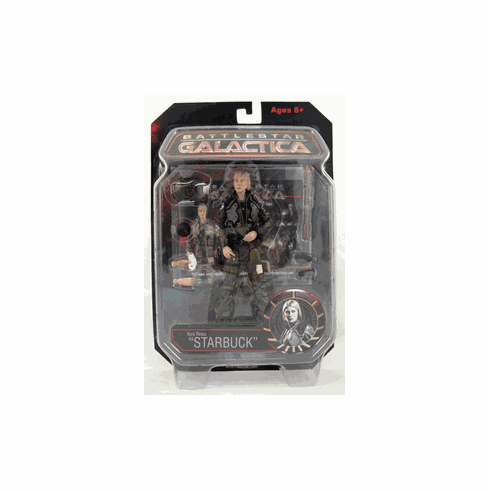 Battlestar Galactica Kara Thrace Starbuck Figure is 6" in height. Please Note: Outer packaging contains obvious shelf wear. Special price reflects the damage to the shell. Contents are sealed inside box.